In the latest edition of Sourisseau News, we learn about the man Andrew Hill High School was named after. He was a painter and photographer known for several iconic photos of places like Mission Santa Clara, Stanford, and San Jose's Chinatown. He even climbed the San Jose Electric Light Tower to get an 8-photo panorama which you can see in the video below. 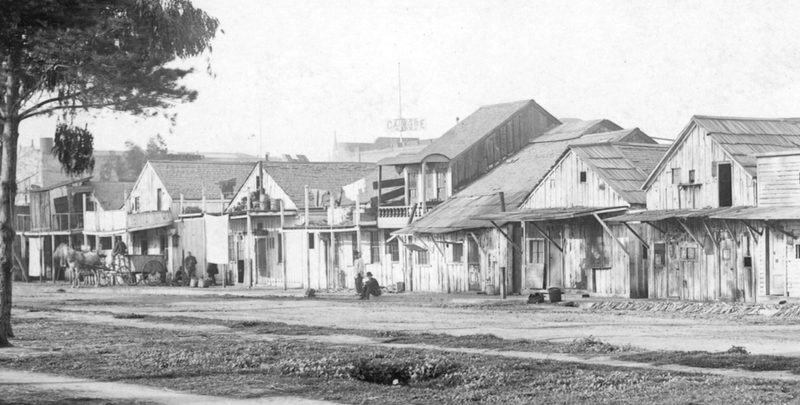 Andrew Hill had a studio in the Dougherty Building on South Second Street, which burnt down in the 1906 Earthquake. He ended up moving his studio to his home, which is currently on display at History San Jose. Check out the two minute video below for your monthly dose of San Jose history! Sourisseau News December 2015 from WMS media Inc. on Vimeo.